At the insistence of my children, I redesigned my existing bunny pattern to create the “BIG” bunny and I am thrilled with the result! 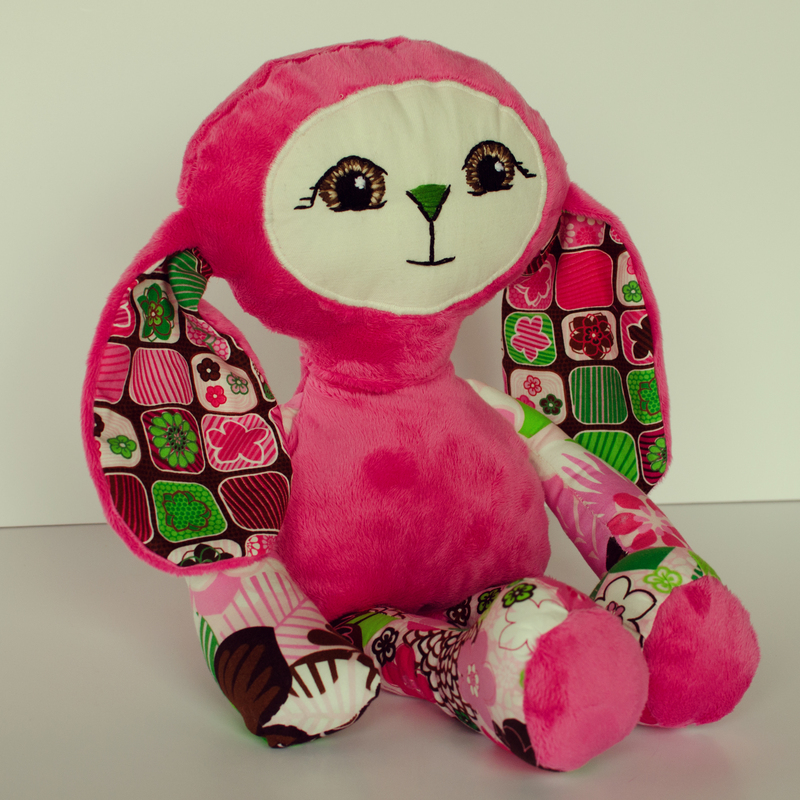 This beautiful 18 inch, bright pink bunny, is made with ultra soft minky (the fabric used to create upscale baby blankets). Her limbs and the inside of her ears feature three coordinating floral cotton fabrics. Her hand embroidered face includes tri-colored brown eyes and a cute green nose. Taking only a measly 10 hours to put together, this bunny is a catch! She’s been donated to an auction, the proceeds of which will go to my aunt who’s battling cancer. 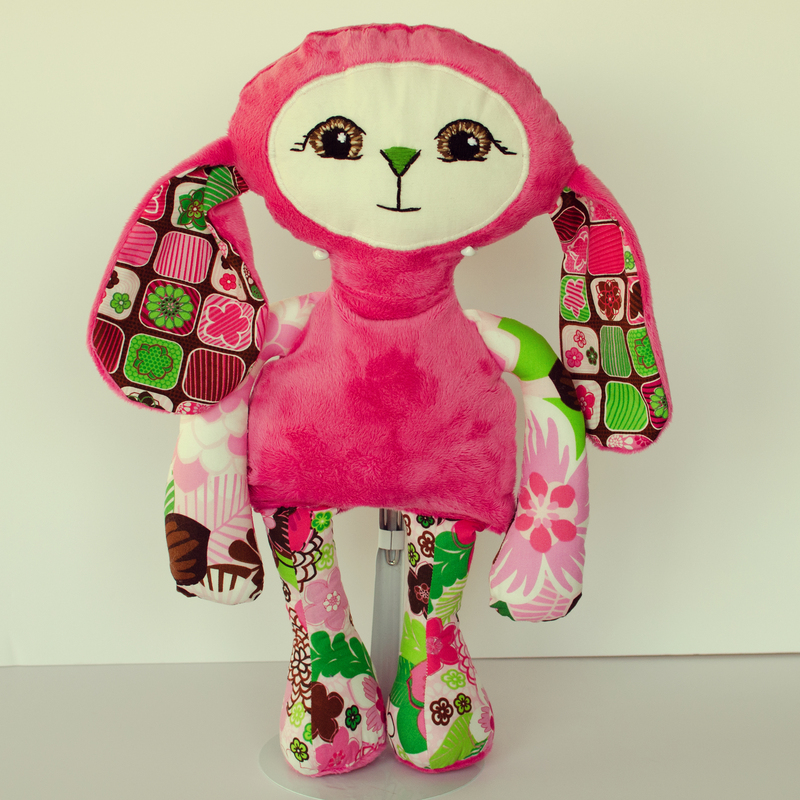 Large pink, Penelope Bloom boutique bunny.